Wireless phone calls, Hi-Fi music transmission in stereo or navigation via Bluetooth on one connection! With this module you no longer have to plug your communication and entertainment systems into the PowerCom system and an installation on the motorbike is therefore unneccessary as well. Keep your SmartPhone, etc. in your pocket. When starting the ignition of the motorbike the Bluetooth connection is automatically established and you can use all desired features immediately. 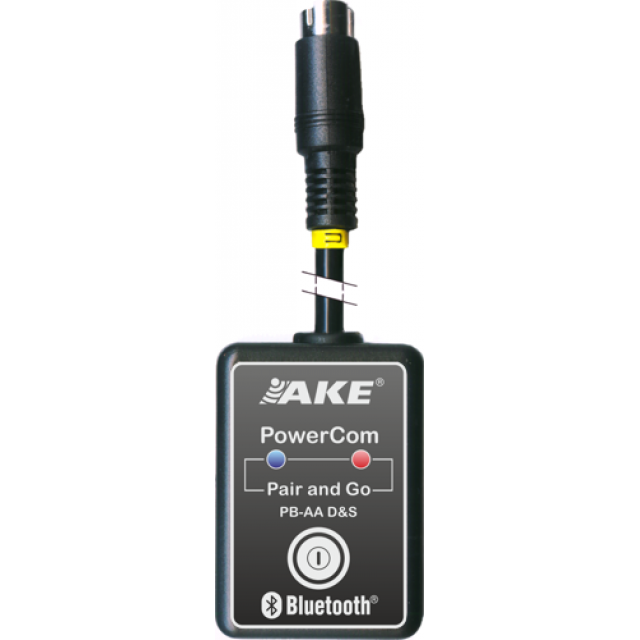 The PowerCom Bluetooth Acessory Adapter PB-AA D&S is to be used with all devices with standard Bluetooth profiles. This could be modern navigation systems as well as SmartPhones, mobile phones and audio systems, etc. An automatic switching to the respective Bluetooth profile (HSP, HFP, A2DP) will always guarantee an optimal transmission quality. Due to the Multipoint feature it is possible to connect HFP two times to one device. 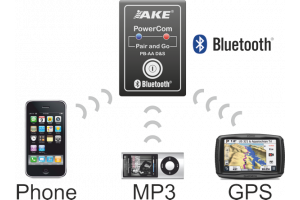 The PowerCom Bluetooth-Acessory-Adapter PB-AA D&S is perfect if using combi-devices like smartphones, etc. at the PowerCom plus – smart connector (labelled U or S). 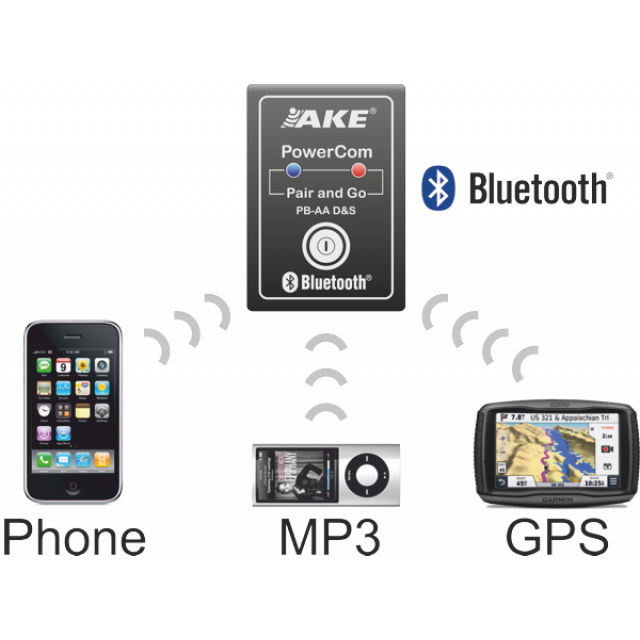 The Bluetooth profile that your smartphone is currently using is automatically identified and the information is sent via the smart-interface to the PowerCom plus control unit. The control unit assigns the appropriate priority of the incomin signal and switches the Bluetooth-to-helmet connection automatically from stereo to duplex as is needed.